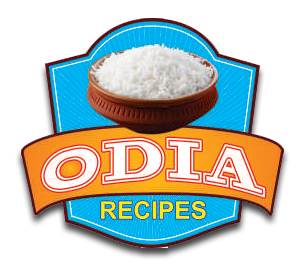 That the ordinary looking flattened rice (chuda/ poha) could be used to prepare such a delicious item may be seen only in Odisha. The word 'ghasa' (to rub) describes the major task involved in this recipe. The more it is rubbed with both of your palms, the tastier it becomes. This delicacy is offered as prasad (bhoga) on the occasion of Ganesh Puja and Saraswati Puja in Odisha. It also serves as a special delicacy which is offered to Lord Shiva during the Shiva Ratri celebrations at Sri Lokanath temple in Puri. Grind the chuda coarsely in dry jar mixer. Take the ground chuda in a big bowl. Add ghee to it. Do not melt the ghee. Put the same in chuda and mix it by hand. You need to do it thoroughly so that the ghee melts in the body temperature of your hands and smoothens out the chuda. Add the jaggery powder (do not use jaggery in liquid form) to it and then mix. The friction of the palms and the resultant body temperature again will soften the chuda and jaggery too will get blended thoroughly. Best way is to take a small amount at a time and mix it by keeping the same in between both your palms. It takes a minimum of 20 minutes to get a perfect consistency. At this stage add the scraped coconut, black pepper powder and cardamom powder. Mix again for 10 minutes. At this point the moisture from the coconut would further soften the chuda, but it won’t soak it. Now add dry fruits like raisins and /or fruits like apples and banana (cut into small pieces). Your Chuda Ghasa is ready. A great deal of physical exercise - wasn’t it ! But you are surely going to be compensated for the hard labour with the appreciative words from the people who get to taste it. B K choudhury - "Many many thanks for the recipe of chuda ghasa." Anonymous - "I like it very much, but I couldn't know the recipe. Today I have known it through your site. Thanks for this recipe....."
Radha - "My father used to prepare it when I was very young; because my mother doesn't know d procedure. Chuda ghasa is very tasty .Now I'm at Delhi. Really miss Odisa so much . Jai Jagannath ......"